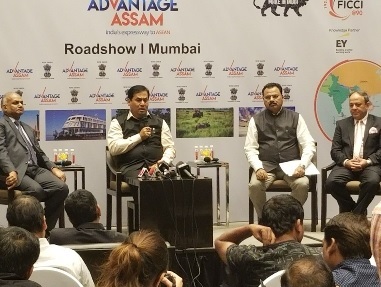 Assam’s bid to woo the investors from other parts of the country and abroad in the state continues with Assam chief minister Sarbananda Sonowal along with industry minister Chandra Mohan Patowary holding interactive discussion with the media and people in Mumbai on Wednesday about Advantage Assam. 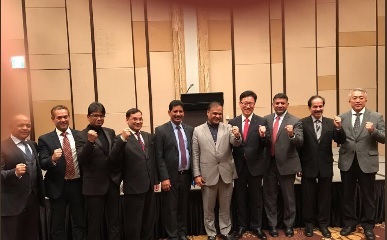 Meanwhile Assam finance minister Dr Himanta Biswa Sarma, who is currently visiting Seoul, participated in a road show organised by the Indian embassy in Seoul in connection with the Advantage Assam . He highlighted the investment opportunities in Assam before the potential investors from Seoul. PHE minister Rihan Daimary also accompanied Assam finance minister. Assam finance minister Himanta Biswa Sarma along with PHE minister Rihan Daimary in Seoul in connection with Advantage Assam conclave.